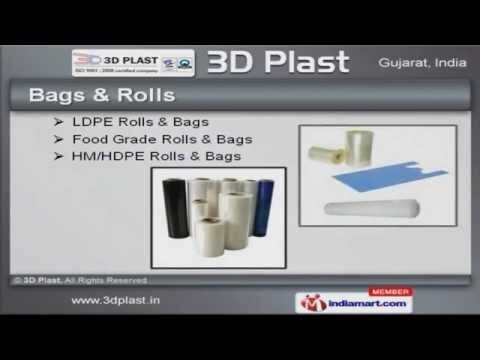 Welcome to 3D Plast. Manufacturer & Exporter of Packaging Material. Established in the year 2006, at Vadodara, we are an ISO 9001:2008, NABCB certifiedcompany. Rigorous quality inspection & well equipped infrastructure make us differentfrom others. Specialized R& D unit, excellent shipment modes & Large production capacity make usthe first choice of our clients. We offer a wide assortment of Packaging Films, PVC Shrink Sleeve, Bags and Rolls. Packaging Rolls & Bags offered by us are a class apart. Our Packaging Films are best in the industry amongst others. We offer Packaging Covers that are available at industry leading prices. We also provide Bags & Rolls that are unmatched in quality. Along with that we offer PVC Shrink Sleeves that are cost effective.